who is hosting a Historical Fashion Show tomorrow. from years past and model them for their families. to reflect the fabulous theme and honor the girls. Most of them have been in the troop since they were in Kindergarten. 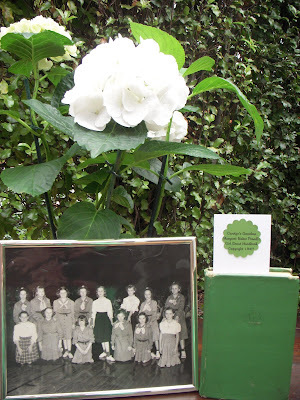 In addition to the fashion show Girl Scout memorabilia will be displayed. My mom sent us a picture of her as a Girl Scout in Iowa along with her handbook. Here she is the exact same age as my daughter! 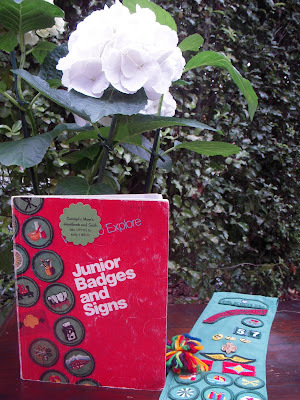 I also have my sash and handbook! Wow this is amazing, 3 generations together! I bet you had lots of fun. 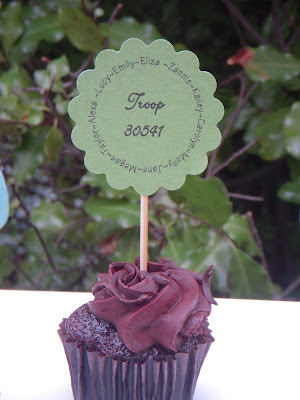 I am so proud of my 2 Girl Scout legacies and that they do everything in such style. I have forwarded this to several of my '49 Scout friends who are in the picture. Good Job, Alexis & Carolyn. very cool party idea! i'm so intrigued by vintage fashion, especially when it comes to uniforms. 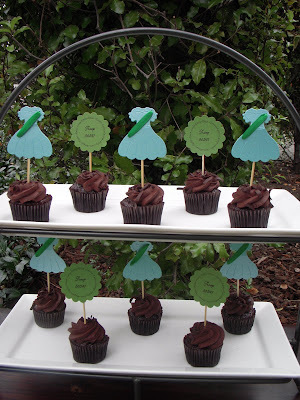 Love the cupcake toppers! So clever! 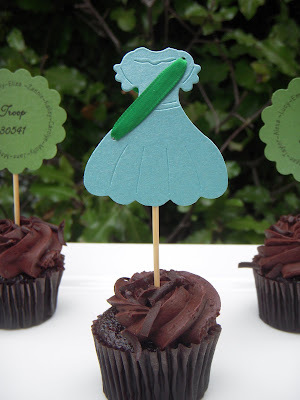 Do you still have the cupcake topper templates? I would love to use them for our troop!